This Eureka Seven AO complete series set contains episodes 1-24 and OVA "The Flowers of the Jungfraujoch." Fragments of the teenager's origin come to light when a hostile shape-shifter seeking revenge on Ao's missing mother - who vanished two years after his birth - targets him instead. Consumed with learning how his machine of war is connected to his mother and the monster that now pursues him, the young pilot will fly full throttle into combat zones without hesitation. Sequel series to Eureka Seven. 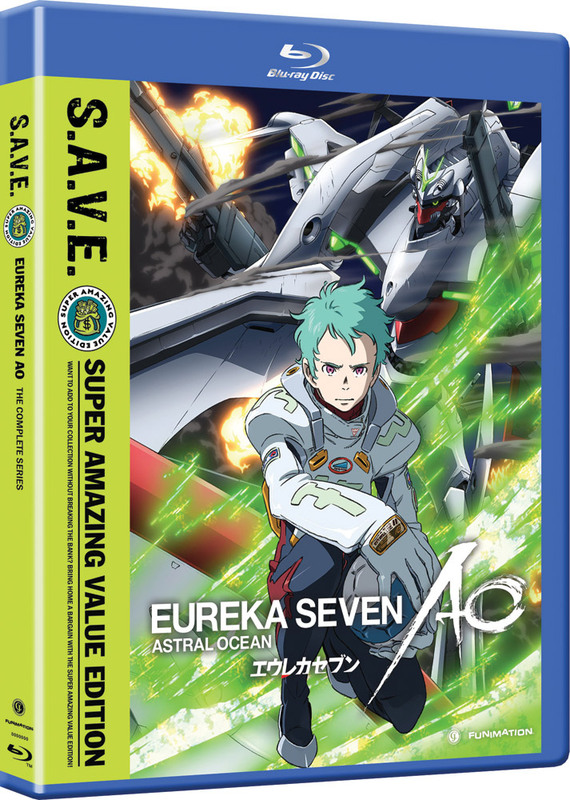 Special Features: Inside the Booth: Eureka Seven AO, Episode 21 Video Commentary, Episode Commentary (5, 10, 13, 24), Textless Openings and Closings, Original Commercials, Promotional Video, U.S. Trailer, Trailers.